Words have meaning and power. 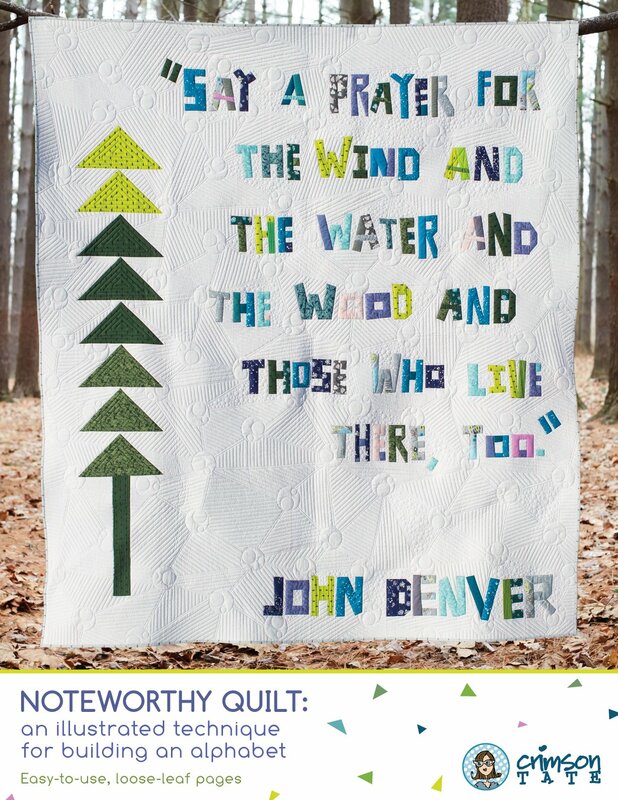 Noteworthy Quilt is an informal technique for building text in your quilt! This guide is meant as a springboard to help you imagine how to piece letters and words with improvisation. The joy and fun of this workbook is knowing that there are no rules. You will find this is a general guide to help you understand how to turn basic shapes into something readable.